The Newbury Street strap is all about comfort, details and quality. The contoured form sits ergonomically on your neck and the specially designed foam cushion will mold to your unique neck shape over time, creating a truly custom fit. 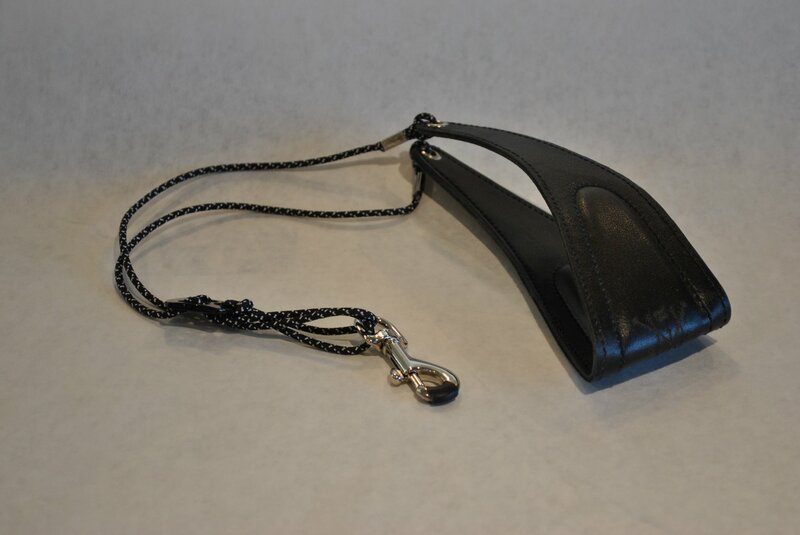 The design and width of the singular cushion provides excellent support as it divides the weight of the horn across the maximum surface area of your neck, resulting in less strain while playing. Each Newbury Street strap is made with two pieces of premium genuine leather; a softer smooth leather is used on the inside and a thicker leather on the outside to provide the right balance between resiliency and softness. This combination ensures you get a great feeling strap that wont stretch or 'bounce' when playing and as it breaks in, will form to fit you like a glove. The interior leather is also resistant to bleeding dye, a common issue with other straps. The grommets and clamps are industrial strength, nickel plated brass. The hook is nickel plated brass and features Japanese made, military spec, abrasion resistant tubing to prevent wear to your horn. An extra piece of replacement tubing is included, ensuring your strap will last for years to come.